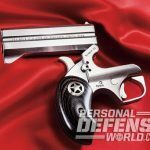 Cut from stainless steel on state-of-the-art machines, the Bond Arms Defender is one of the most versatile concealed carry options on the market today. The long barrel gives the Bond Arms Defender an undeniable aesthetic appeal and the dark wood stocks are gorgeous. 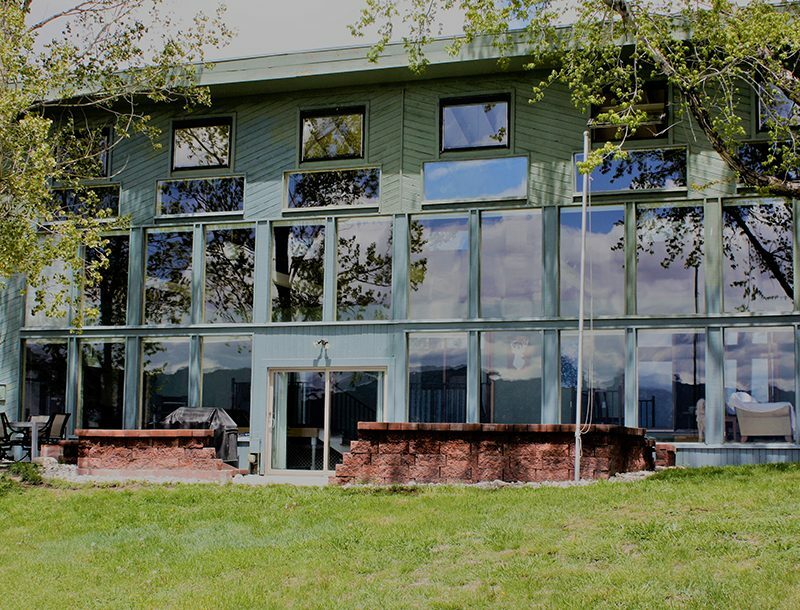 Overall workmanship is superb. Rotate the barrel assembly up and over for loading. Information-Age safety improvements include a beefy triggerguard and a manual cross-bolt safety. A brace of .410 shotshell rounds is unquestionably effective at close range. The rebounding hammer does not contact the firing pin unless the trigger is pulled. 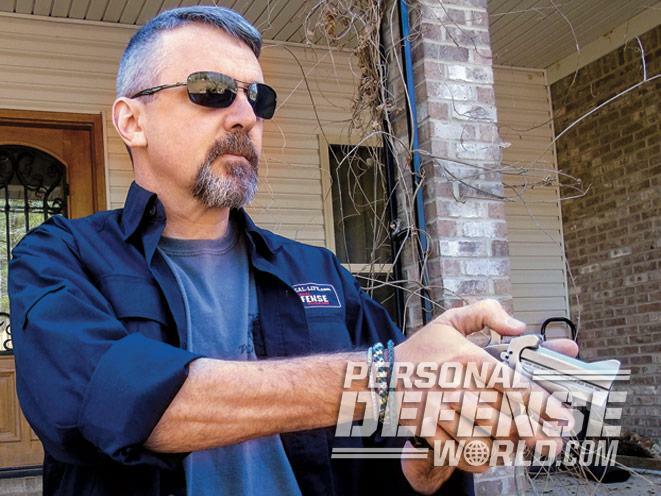 The cross-draw driving holster is remarkably comfortable yet keeps the pistol instantly accessible. Henry Deringer produced his first pistol in 1830 and his initial offerings were percussion fired. Subsequent models fired fixed ammunition and Deringer’s influence over the genre was sufficient to transform his name into an eponym forever tied to these small pocket pistols. Derringers were produced by a variety of manufacturers to include Colt, Ethan Allen and Remington. While Colt was the most prolific producer, it is the classic 1870’s era Remington that defined the iconic lines of the derringers. 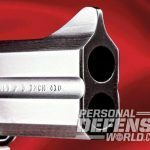 Most of the original Remington derringers were chambered in .41 rimfire, and the inspiration for the chrome-plated specimen used in this article dates back to the 1880s. The characteristic feature of this gun rests in the novel way in which the barrels load and secure to the frame. 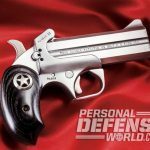 In the case of the classic Remington Double Derringer, a small lever on the right side of the frame swings through 180 degrees to unlock the barrels. The barrels may then be swung as a unit up and over the frame, to allow ejection of spent cartridges via a manual ejector and subsequent reloading. Once loaded, the barrel assembly is rotated back into position and the locking lever returned to its locked position. The hammer must be manually cocked prior to firing and a cam system alternates barrels. The resulting single-action trigger is light and crisp, though the short barrel and absence of sights worthy of the term restrict the weapon’s effectiveness to all but bad-breath distances. 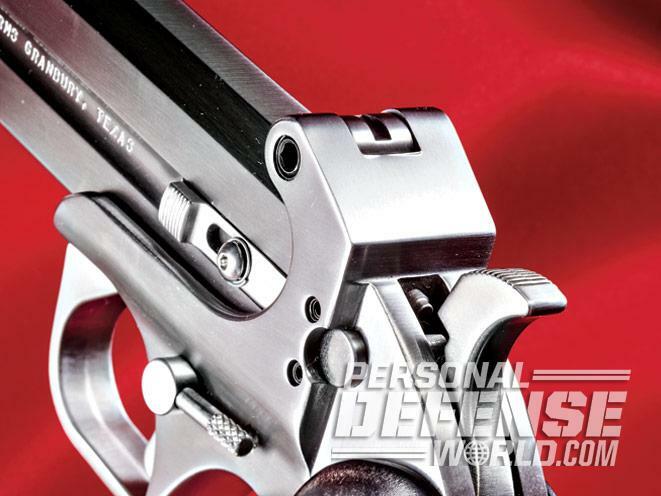 Now fast-forward 145 years and the Texas company Bond Arms is producing a 21st century up-graded version of the timeless derringer design that can hold its own with the most modern concealable defensive firearms. 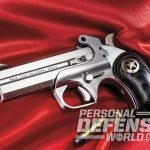 Cut from stainless steel on state-of-the-art machines, the Bond Arms Defender is one of the most versatile concealed carry options on the market today. The gun’s barrels interchange in moments simply by turning out a robust hex screw and dropping in another barrel assembly. Four barrel lengths range from 2.5 inches to 4.25 inches, and Bond Arms offers 25 different caliber combinations. Additionally, modern developments in engineering and materials science bring an unprecedented degree of safety to the derringer platform. Modern metallurgy allows the Bond Arms Defender to manage previously unimagined cartridges safely. Options range from .22 Winchester Magnum through all the common centerfire defensive handgun loads as well as .410 shotshells. Rimfire barrel assemblies have the tubes bored slightly off-center to accommodate the rimfire design. American shotguns typically must possess an 18-inch barrel for legality. 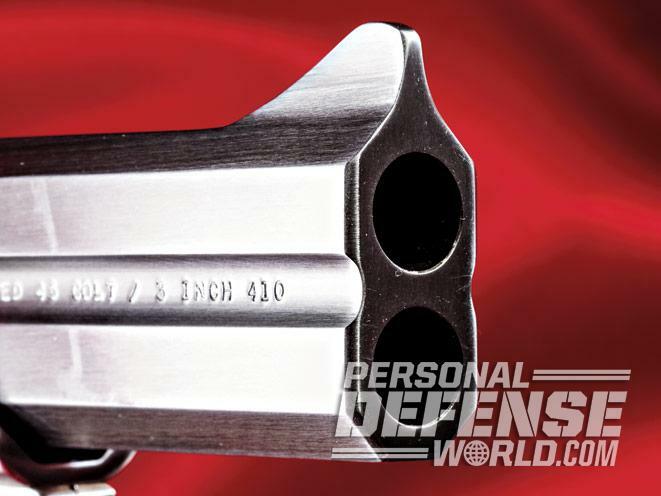 The interesting loophole that applies in this case is simply that .410 shotshells fit and function just fine in guns chambered for .45 Long Colt so long as length dimensions are taken into consideration. While the barrels must be rifled to remain within the confines of the law, modern ammunition companies have developed some fascinating loads to stoke these little pocket howitzers. Winchester’s PDX1 Defender load typifies this genre. 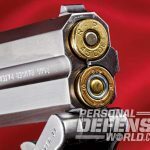 Available in both 2.5- and 3-inch versions, the PDX1 round pushes either three or four of what the company calls “Defense Disks” along with a handful of copper-plated BB shot. Each Defense Disk looks like a copper-plated lead Sweet Tart and is intuitively devastating downrange. 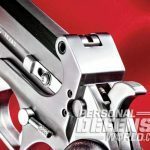 The manual single-action hammer on the Bond Arms Defender is of the rebounding sort, meaning that the hammer will not contact the firing pin unless the trigger is pulled. At rest, the hammer sits back a bit from the firing pin. There is also a manual cross-bolt safety and a cam system that alternates barrels in the same manner as the originals. The cross-bolt safety can be locked in place with an Allen wrench to render the gun inert. The Defender also incorporates a beefy triggerguard that the original models lacked. To break the gun open, the spring-loaded release lever is now on the left side and easily accessed. The extractor is a manual device mounted to the right side of the barrel assembly. Options include bare stainless or baked-on black finishes as well as a variety of grip variants ranging from pedestrian soft black rubber to gorgeous laser-engraved wood stocks. Carry gear for these diminutive pistols includes a conventional leather shoulder rig, pocket inserts to keep the gun properly oriented in a jeans pocket, an ankle rig and the coolest little cross-draw driving holster. Having sat on an uncomfortable firearm while driving for the past two decades, I have found the cross-draw rig to be the ideal setup for long car trips. Thus carried, the gun remains comfortably accessible without interfering with life’s daily chores. The inevitable question that arises over such a small gun firing such large cartridges concerns recoil. Recoil is a function of the power of a given cartridge, the weight of the gun as well as the design of the grip and its resulting surface area. Broad grips distribute recoil forces while thin ones bite painfully. 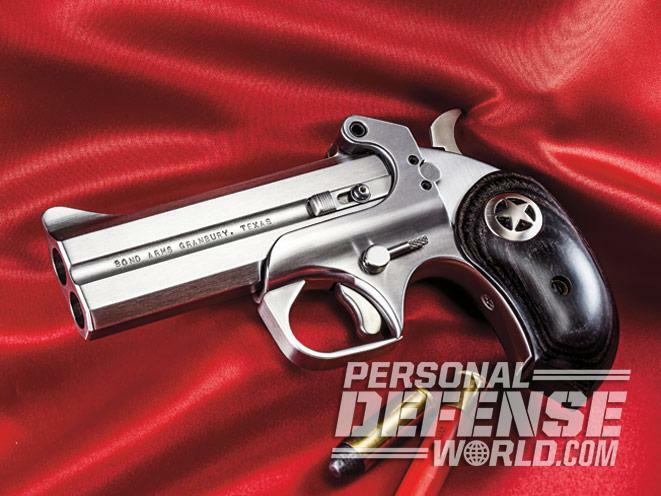 The Bond Arms Defender strikes a nice balance between concealability and recoil mitigation. 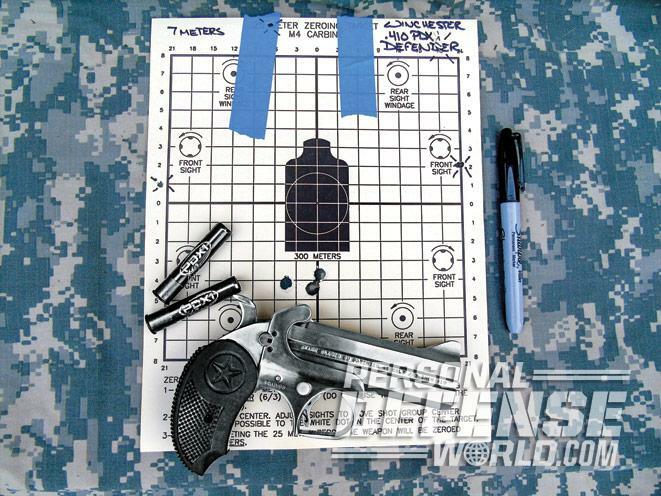 Accuracy is adequate for self-defense ranges and downrange thump with state-of-the-art centerfire defensive loads or high-tech shotshell offerings is undeniably impressive. The trigger is intentionally fairly thick and heavy, but this is a close-range (bad breath distances) defensive handgun, not a super-tactical sniper rifle. 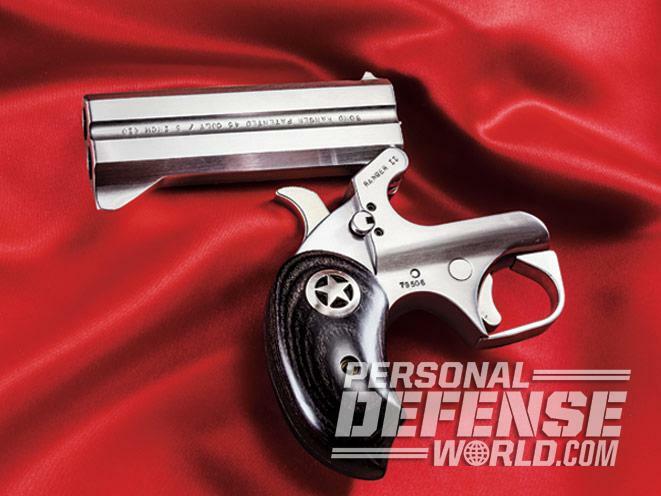 The derringer pistol is utterly safe to carry, quick to employ and devastating downrange. I picked the shortest barrel (2.5 inches) in a heavy caliber (.45 ACP) and fired two boxes of ammunition through the gun in fairly rapid succession just to see how bad it could be. Replicating real-world tactical conditions I could handily keep all my rounds in a pie plate at reasonable self-defense ranges. Shot distribution from the Winchester PDX1 Defender Personal Defense rounds covered a comparable area. At the end of the day, my hand sported a nice buzz, but even in such a diminutive package recoil was tolerable. 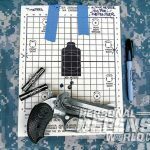 The argument could be made that if your defensive handgun is really fun to shoot quite often, it is likely too underpowered to get the job done reliably. Lower-powered, longer-barreled loadings yielded more pleasant shooting and markedly tighter groups. I love my small, powerful Bond Arms Defender for the same reasons that armed Americans admired their pocket derringers more than a century ago. 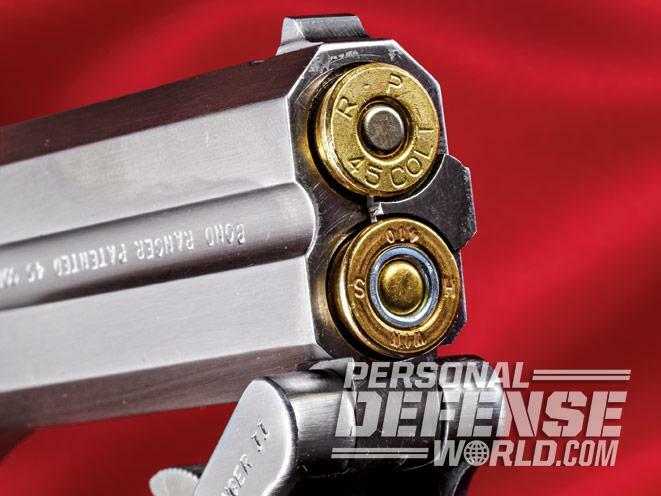 When fed .410 birdshot, the derringer handgun is great medicine against poisonous snakes and similar vile varmints while remaining comparably effective against predators of the bipedal sort. There are only two rounds on tap, but a single gun and a handful of interchangeable barrels deliver a remarkable array of firepower options. 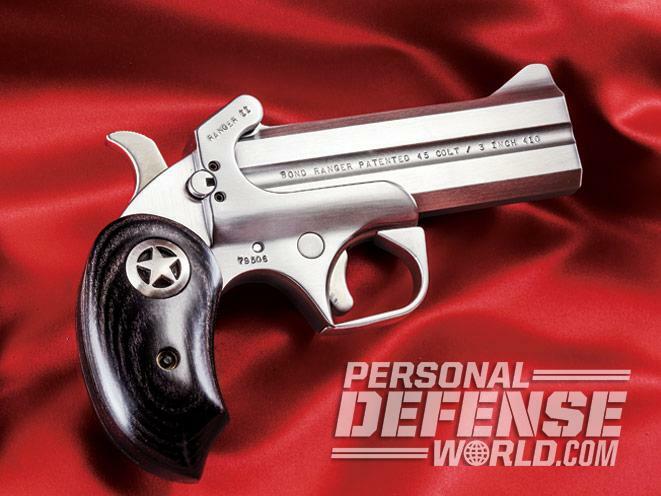 The pocket derringer is a proven design that has served as a defensive staple for nearly two centuries. 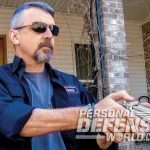 In its current form, the Bond Arms Defender brings unprecedented safety, versatility and concealability to the modern defensive handgun market. As a defensive firearm or back-up gun for law enforcement applications, the Bond Arms Defender has something for literally everybody.